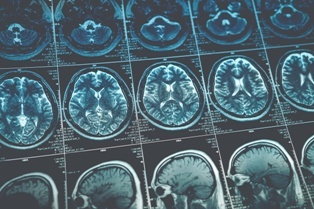 Traumatic brain injuries (TBIs) are a major cause of disability and death in the United States, serving as a contributing factor in a full one-third of all injury-related fatalities. Just how common are these injuries? According to the Centers for Disease Control and Prevention (CDC), nearly 3 million TBI-related emergency room visits, hospitalizations, and deaths occur each year. Additionally, CDC research suggests that as many as 5.3 million Americans are living with a devastating TBI-related disability. Traditionally, TBIs are diagnosed by monitoring a patient's behavior and employing diagnostic tests, such as the Glasgow Coma Scale (GCS)—which assesses the ability to speak, open eyes, and move—and imaging tests like computerized tomography (CT) scans and magnetic resonance imaging (MRI). However, such tests may be ineffective in diagnosing mild traumatic brain injuries (MTBIs), also known as concussions, and also expose patients to a risk of radiation. Fortunately, in February 2018, the Food and Drug Administration (FDA) approved the Banyan Brain Trauma Indicator: a first-of-its-kind blood test designed to quickly and accurately detect concussions. Common TBI treatments include immediate emergency care, medications to limit secondary brain damage, surgical procedures, and rehabilitation. There are also some promising emerging treatments for those living with TBIs, such as repetitive transcranial magnetic stimulation (rTMS), a targeted treatment developed to restore brain function after a severe TBI. Though the treatment has not yet been approved by the FDA, thus far, it's shown promising results in clinical trials. If you sustained a TBI in an accident caused by another person or entity's negligence, you may be entitled to compensation for damages, including related medical expenses, lost wages, loss of income, pain and suffering, and more. The knowledgeable and skilled personal injury attorneys with the Inland Empire Law Group can help you explore your options and fight for the compensation you deserve. Contact us today at (888) 694-3529 or (909) 481-0100 to schedule an appointment for a free initial consultation.